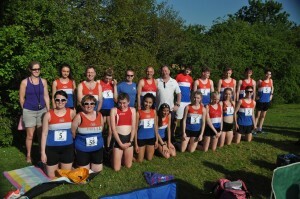 23 of our athletes and Officials travelled down to Banbury to represent the club in the first fixture in this years Midland Track and Field League Division 6. The team is increasingly made up of our U/17 and U/20 athletes with a few seniors and vets filling in some of the gaps in the team sheet. The team competed really well and finished in the promotion places in a fine 2nd position. The next fixture is Saturday 2nd June at Hereford and we do need a few more members to help us continue with our promotion push, please speak to Julia Bailey if you can help out. Congratulations to everyone who competed and thanks to the officials who gained us extremely valuable points!